Malaysia had performed poorly in the Programme for International Student Assessment (Pisa) 2012 conducted by the Organisation for Economic Cooperation and Development, coming in No. 52 out of the 65 countries polled. The participating countries 15-year-olds were tested on Mathematics, Reading and Science and Malaysia students failed to score above the average score in these 3 areas. The results achieved in the 2012 survey showed Malaysia was below the global average score of 494 in Mathematics, 496 in Reading and 501 in Science. Ranking in the bottom third based on the mean score of 2012, Malaysia lagged behind both 17th place Vietnam, a low-income country and up north neighboring Thailand at 50th. Down south neighboring Singapore was highly rank at 2nd position after China which came on top of the world. PISA is an international survey done every three years to assess the competencies of 15-year-olds from 65 countries in 3 key subject areas. The 2012 PISA assessed 510,000 students between the ages of 15 years 3 months and 16 years 2 months in the 65 participating countries. At the tertiary level, Malaysia universities performance also not up to the mark and lagging behind many Asia countries despite with the hefty national budget allocation to Ministry of Education each year. Only 5 universities were able to make it to Top 100 list in the latest QS Asia University Rankings. Also, in the latest ranking of 500 Global Best Universities by U.S. News and World Report, a highly reputable university ratings in U.S., only 1 university namely University Malaya made it to the 500 list at No 423. Worse still, Malaysia universities surrendered its fight and refused to participate in the Times Higher Education University Ranking since 2011 citing the ranking criteria used did not fit into its objective. According to a non-mandatory audit by the Malaysian Quality Evaluation Scheme (MyQuest) on 211 private colleges for 2012/2013, only 24% (1 out of 4) of the 211 private higher institutions participated in the evaluation being rated with 5-star and above, 26% rated with 4-star and the remaining 50% rated with 3-star and below. This means 5 out of 10 of these private higher education institutions may trigger quality issues if no constant monitoring of performance is put in place. Hence this situation will put Malaysia in bad shape and reputation and will jeopardize Malaysia's aim to become global education hub. a. Malaysia is identified as weak in term of its productivity in teaching and learning with only 33.11% efficient. This is to say that, Malaysia is generating only 33.11% of its teaching capacity despite with the huge orchestrated national budget allocation each year. It could boost current teaching outcomes up to 76.89% higher without requiring additional allocation on the inputs. b. Lecturers or academics' hard work in teaching is not accordingly acknowledged, causing many academics to treat teaching as less important set of jobs than research work. c. Lecturers are also expected to drill students on study skill of other soft skills, while in actual facts they are of general education or domains which should have been attained by students when they were at primary and secondary schools. d. Many academics are not aware, of the various instructional methods - and many academics (and only them) are expected to prepare e-learning materials, or operate e-learning session. Not many of them are savvy of this cause. They are to cover so many areas - the hard-skills (content) and soft-skill (employability) while at the same time having to deliver other academic expectations and discharge administrative duties. Malaysia is also facing a daunting issue of brain drain. According to a World Bank report in 2011, the number of skilled Malaysians living abroad rose 300 per cent in the last two decades, with two out of every 10 Malaysians with tertiary education opting to leave for either Organisation for Economic Co-operation and Development (OECD) countries or Singapore. This leaves the country with less mettle to compete against its neighbor Singapore, a high-income economy with plenty of skilled professionals. The deteriorating of education quality in Malaysia also to be blamed on Government frequent education policy flip-flop, such as switching the (language) of instruction to Bahasa from English, SRP to PMR and now to PT3, no trial (forecast) SPM ("O" level equivalent exam) result can be used to gain entry access to pre-U courses and many more. These shifts had added fuel in an already muddled system and consider as wastage of public funds that could be better used in other productive areas. In the era of knowledge-based economic, no country in the world can escape the phenomenon of globalisation. Intake of university students by "7-2-1" system is a disaster if it allowed to continue where there is no full transparency of the university intake process. If students with high academic success did not get first hand treatment to nurture them to be a our future leader and there is no strategies to retain and attract top talents in the academic field, then this will be a double whammy and disastrous to our country. What can we do to reverse the dire straits in Malaysia's Education? Internationalisation and globalisation of Education has put much pressure on Malaysia to overhaul and transform its education systems. In this highly competitive world education market, every country wants to have a fair share of the 4.3 milllion international students worldwide. The number is projected to reach 8 million international students worldwide by 2025. Many countries look education as the catalyst in advancing the development of their countries. China in particular has export its education to markets where no other countries dare to venture like Africa and South America. Now China is slowly catching up with countries like America and UK in attracting international students to study in China and thank to its transformation of education sector and realization on the importance of introduce tertiary education with English medium of instruction. Back home in Malaysia, it has a grand ambition to improve its education system. The Education Ministry has allocated huge sums of money to its Education Blueprint (2013-2025) and is banking on it to raise the quality of education in Malaysia and set the road map for Malaysia to be one of the famous education hub. The blueprint aims to shift the mindset so Malaysians would start to view teaching as a professional career while handing more autonomy to state and district education offices. It also hopes to promote parents and community involvement in the education system. In this regards, the Education Ministry of Malaysia has also been allotted RM54.6 billion in Budget 2014, highest for any sector. Citing the urgent need to transform Malaysia's education system", the World Bank report noted that the country education has so far failed to undergo the necessary reform that would meet the demands for high-skilled professionals. 1. We must get rid of the '7-2-1' system. 2. Be transparent in offering seat in public universities, sending students or public servants for further education either locally or overseas and awarding of scholarship. 3. Provide fair and equal access to education at all level for all Malaysian without fear and favour. The rule of thumb is "If you are academically talented and smart, then you get the first priority treatment and assistance from the government to excel in your field of study" and I think it won't cost government much from the RM54.6 billion budget allocation to nurture these group of students. While let's see how it goes from here for Malaysia's education. It is just another 10 years (we have gone thru 4 decades of the unfair treatment) away from now before we can witness whether the Education Blueprint bears fruit and put Malaysia back into the world map in HE! 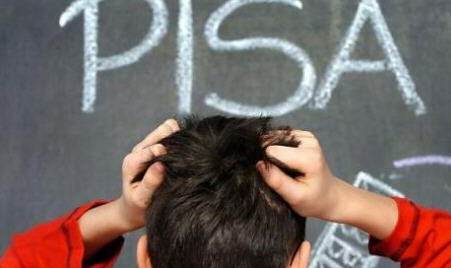 By the way, PISA 2015 Assessment is just a year away. Let's see how Malaysia students are well prepared for it. Let's wait and see how the countries perform and I sincerely hope Malaysia do not surrender its fight and refuse to participate in it. 2. The State of Malaysia's Education - What Lies Ahead? 3. It Just Struck Me, It Struck Everyone! 4. Higher Education in Malaysia -Do you have Alternatives?